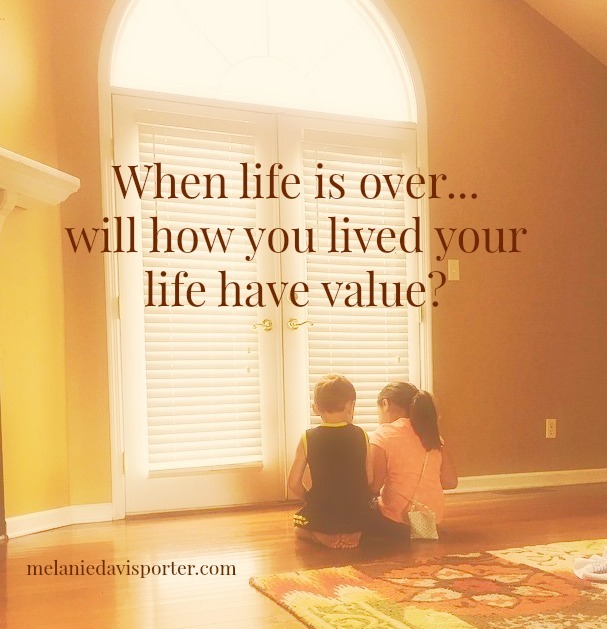 When your life is over….will how you lived have value? I’m talking about living a life that matters. We think we have plenty of it to do what we want in life, or someday we will arrive at what is meant to be. But the truth is we’re always putting things off….dreams, goals, education, good deeds…ministry. I look back and kick myself for losing 10 years of life in what was a very dark period. I don’t know what is worse….wishing our lives away to dodge the bumps and hit the highlights…. or being stuck in the past? Will it matter that I even walked the face of this earth? Will GOD be pleased with me? Or will HE be disappointed because I didn’t live up to the potential HE weaved into my DNA? Are you stuck living in the past? Do you think you have plenty of time to get to those dreams in the future? Does your life reflect value or fleshly causes? Miserable in a dead-end job traveling and working for a foreign company that did not value me, I prayed for a way out. GOD answered and brought me a new job working for Christian owners. Battling health issues like blood sugar problems ….out of shape…poor sleep habits….I didn’t feel great on a regular basis. But I changed my habits…I lost weight and I can accomplish more now. Being the book nerd I am, my dream to write words to impact people beyond the stage, was just a faraway dream. Then I stepped out in FAITH – believing the LORD was calling me to share hope and just be real….just be me. No longer am I putting off my future. As I reflect back…..I see years wasted, hope deferred by fear or lack of faith, and missed opportunities. Does the landscape of your life look the same? Regrets….waste….shaky faith? As long as we are still breathing…there is time to live this abundant life that JESUS sacrificed HIS life to give us. So I lay my heart out for you…. to share what GOD has shown me…and just maybe it will help you. I’ve decided to give you one sign a day for four days….just so you can let it soak in and pray about what GOD may be speaking to you. HE is so sweet to show me things in my obsessive thinking….perhaps you can relate? 1. You’re living in the present. Living in the present means we’re not looking back at loss or the good ole days. We can’t see the future if we are always looking back. It’s not healthy and it’s not wise to long for days that have come and gone. I love the old Hebrew King James Version of this verse – there is so much depth to specific words. “End” translates to reward, posterity, and a remnant. Even though end may sound final, in GOD’S economy…it means we have blessing awaiting us. Even if we’ve blown it…we can try again and there is still hope in a remnant of blessing. There is no end in GOD’S kingdom….if you are HIS child….you will live in HIS love infinitely. 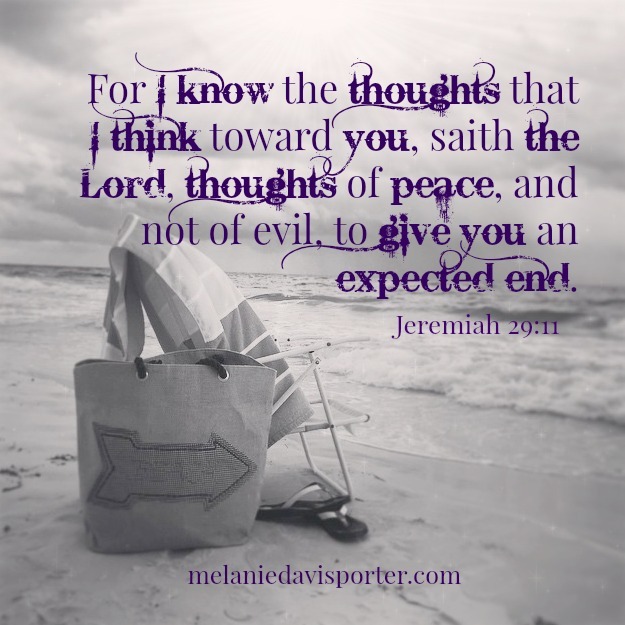 And backing up to the word “thoughts”….it translates to imaginations, intentions, purpose and plans. 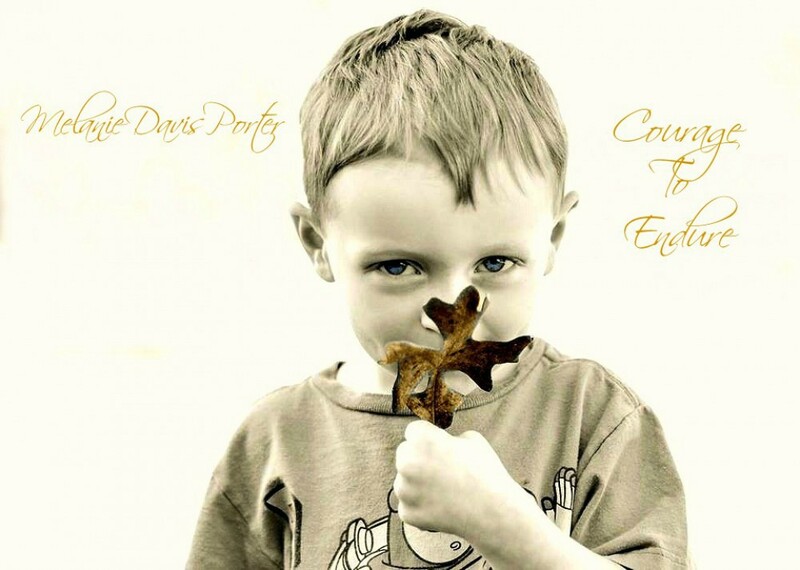 This is so beautiful; I don’t want you to miss this…. GOD is dreaming for you. Isn’t that cool? HE’S thinking about what will be best in your life…what goals you can rock and what lives you can affect for good. This fact… just wrecks me. Write this on your heart beloved…….GOD is dreaming for you. Living in the present means you are living in expectation of the future GOD has for you, and not looking back. 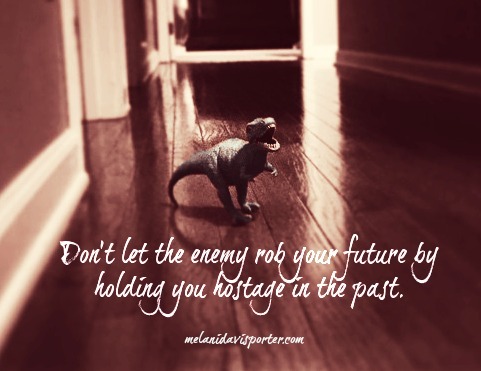 Don’t let the enemy rob you of your future by holding you hostage in the past. GOD has a new path….a new beginning and a new work HE wants to do in you. So let it go…whatever is hanging over your head….let it go. Be present in what today has waiting for you. Let this permeate your heart today….HE wants to do a new thing in you! See you tomorrow sweet friends. This entry was posted in Change, GOD has a plan for you, God is dreaming for you, God's Purpose for Your Life, Letting go of the past, the future and tagged "The Best Yes" by Lysa Terkeurst, Change your Life, Faith, God's Purpose, Gods dreams for you, Letting GO of Past, Making Life Count by melanieporter45. Bookmark the permalink. That is great stuff! Thanks for sharing. Like the Lord always does, He led me right to this post this morning. 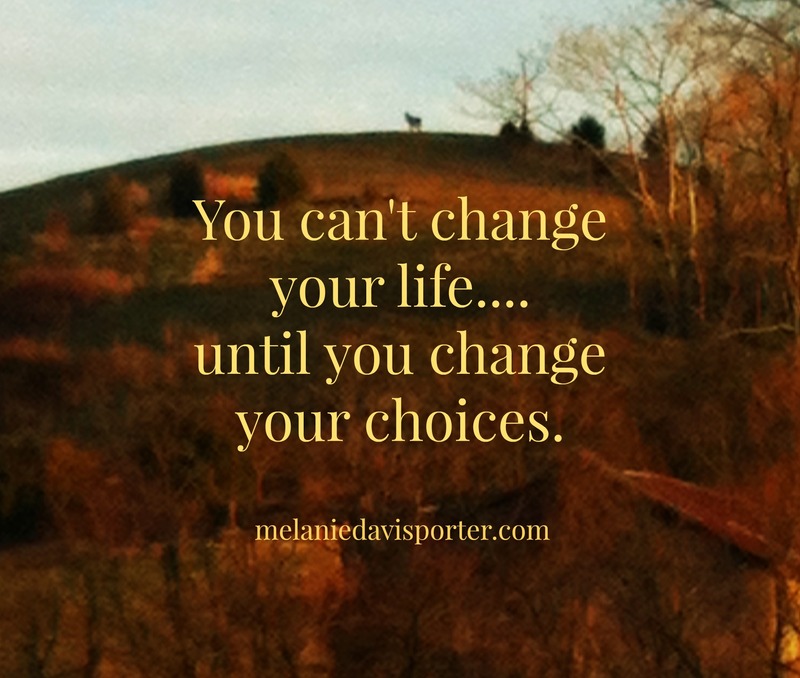 Change…living in the present…for this one day. That’s what makes all the tomorrows better. That’s how we get to the life God wants us to live. Needing this message, Mel. Thanks, sweet friend!